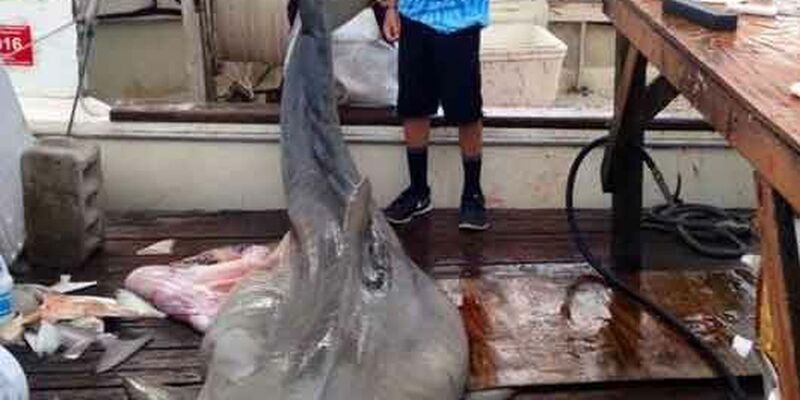 FOLLY BEACH, SC (WCSC) - Fishermen reeled in a 13-foot tiger shark off Folly Beach this past weekend. The shark, estimated to be 800 pounds, was caught on Saturday a mile off Folly Beach near the washout. Joe Morris said he and two other men caught the shark which Morris said was not the biggest he's ever reeled in. According to Morris, he's caught three sharks in the past that weighed at least 1,000 pounds. Morris says it's nothing out of the ordinary; just before catching the 800 pound tiger shark, he caught a 400 pound shark. Since the start of the season, Morris says he's caught several sharks each weighing in at several hundred pounds.